We specialise in all types of glazing including windows, doors, conservatories and orangeries as well as glass roofs and lantern roofs. We will advise and guide you every step of the way on the best use of light and floor space for your family room, orangery, dining kitchen, master suite, or conservatory. Prescot Door & Windows caters for domestic and commercial customers relating to all forms of glazing repairs, products and services. We specialise in providing a 24 hour reactive and emergency service. Our engineers are fully qualified, highly skilled, and are experts in their fields operating a “right first time” delivery. Prescot Door & Windows specialises in the design, manufacture and installation of high quality PVCu and Aluminum windows, doors and curtain walling systems for commercial customers. Leading suppliers and installers of windows, doors, conservatories and porches. 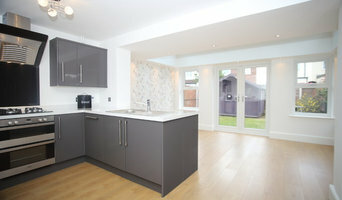 Helping home improvement in Blackburn, Darwen, Burnley, Preston and Lancashire. At Today’s Conservatory, we aim to provide you with a truly bespoke service which shall transform your home. Our team is experienced in a broad range of design, from Conventional Conservatories to Orangeries and Extensions. With your ideas in mind, we shall create a concept which you not only love but one which bears the Today’s Conservatory name with pride. 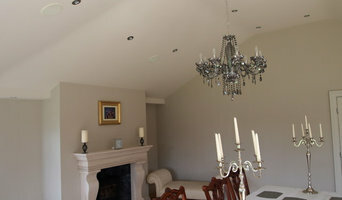 Improving lifestyles wether it be through new windows or doors to extensions and conservatories through premium products. Specialist’s in project management from concept, to planning, to completion. Our mission at Conservatory Upgrades is to provide custom built conservatory roofs both inside and out and to further enhance the design with interior specifically chosen technology products that will future proof your design and increase the year round use of your much-loved conservatory. Our goal is to provide not just you but your guests the “Wow” factor your home really deserves! Although Conservatories are expensive not many home owner use them or the space. Why? They are generally too hot in the summer and too cold in the winter and generally noisy in bad weather. We change all of that with our unique approved conservatory conversion design. We provide affordable solutions to suit any budget We believe in quality workmanship We use only quality approved products We do what we say we will do We deliver on time We work to the needs of our customers We separate the competition with our unique ideas and products We communicate completely and respectfully with our customers Conservatory Upgrades – Conservatory Freedom Roofing Systems …creating living space in your home. If your conservatory is too hot in summer and too cold in winter noisy when its raining. Then let Conservatory Upgrades solve these problems using are unique systems we can transform your conservatory into an all year round living space. Using our unique system and service it allows you to have the inside of your conservatory completed, then at a later date you can have the outside done at a time that suits you. Only Conservatory Upgrades offer this unique service. Add a TV wall fit a Velux roof light add perimeter bulkheads get rid of that old fan and replace it with multi-directional down lighting using either halogen or modern LED bulbs,the choice is yours. Tired of looking at that old polycarbonate roof then let Conservatory Upgrades completely change the appearance by offering you one of our unique Conservatory Upgrades Roofing System utilizing the latest in lightweight materials with the natural appearance of slate. We add fascias, soffits and guttering with many colours to choose from – white, mahogany ,rosewood, oak, ebony and many more. Here at Halewood Windows, we have many years of experience in installing UPVC double glazing in Liverpool. We also cover a large portion of the Merseyside area. We are registered with Fenestration Self Assessment scheme (FENSA), which means that we comply with current building regulations aimed to improved thermal performance standards. We not only meet these requirements, but we exceed them. 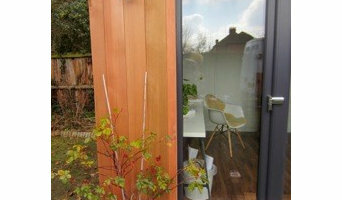 Paragon garden studios are an established national supplier of garden rooms, studio's and home offices. 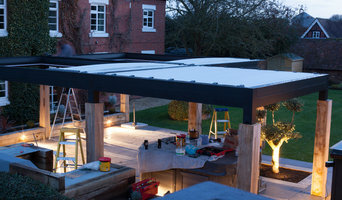 We manufacture solid roof systems, for conservatories, orangeries and extensions. Building a conservatory, sunroom or orangery can be quite a substantial project, so it’s a good idea to hire a professional designer or specialist conservatory builders in Liverpool, Merseyside who have a lot of experience with conservatory installation or constructing bespoke glass extensions. Although the advantage is that with a conservatory planning permission isn’t always needed. With Houzz you’ll be able to see examples of pros’ previous conservatory or orangery designs, so you can determine which Liverpool, Merseyside conservatory specialists will be best suited to your project. You can easily find contact details on the professionals’ profile pages and then you’ll be able to receive conservatory costs and quotes for construction or installation. How should I plan my Liverpool, Merseyside conservatory, sunroom or orangery project? You will first want to determine how much outdoor space you have available to build your conservatory and then what you’d like the dimensions to be. 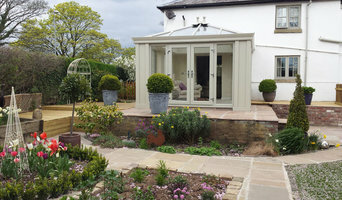 Conservatory planning permission is not needed if your extension meets the government’s guidelines on conservatory projects, so it is best to check these before deciding on the size and style of your new conservatory installation – professional conservatory builders in Liverpool, Merseyside will be able to help you with this, too. If your Liverpool, Merseyside house is within a designated area (including national parks and conservation sites) then there are further restrictions which could affect your choice of conservatory materials and styles. Once you have determined the dimensions and have an idea on what conservatory styles and materials will be feasible, then you can begin to find your ideal Liverpool, Merseyside conservatory designer by browsing the designs, photos and reviews on Houzz. You can look through their portfolios, see previous projects, ask questions, find out their average conservatory cost, look at their own website and contact them directly to discuss your sunroom, orangery or conservatory installation. What should I ask a prospective sunroom specialist or conservatory builders in Liverpool, Merseyside? Find a conservatory, sunroom or orangery designer on Houzz. Narrow your search in the Professionals section of the website to Liverpool, Merseyside conservatory, sunroom and orangery designer. You can also look through Liverpool photos to find a conservatory, sunroom or orangery that you like, then contact the designers or conservatory builders in Liverpool, Merseyside who worked on it.